Tromsø is high above the Arctic Circle but it still has a very vibrant atmosphere with plenty of city highlights. That being said, you don’t have to travel far to get out into the countryside and into some seriously good Northern Lights territory. 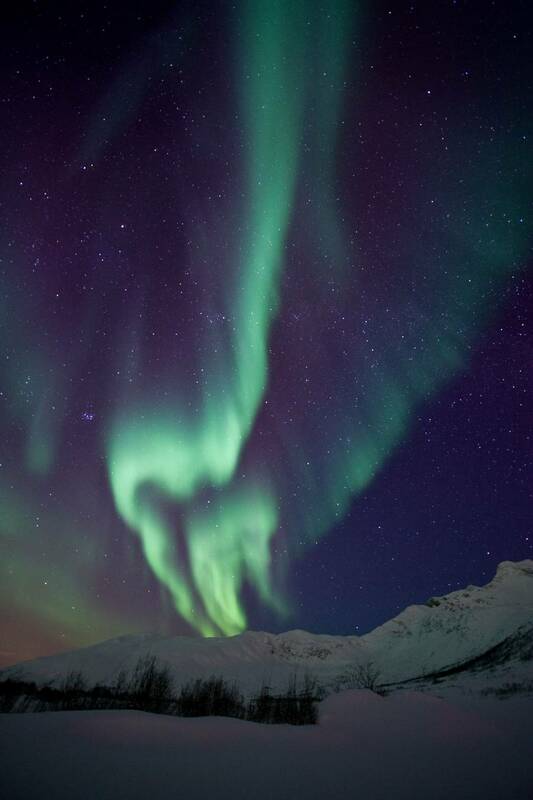 The Aurora hunting activities are fabulous and are operated by expert local guides, but you also have the opportunity to experience more of Northern Norway’s natural wonders, during a fjord cruise which offers the potential for whale sightings between December and January. 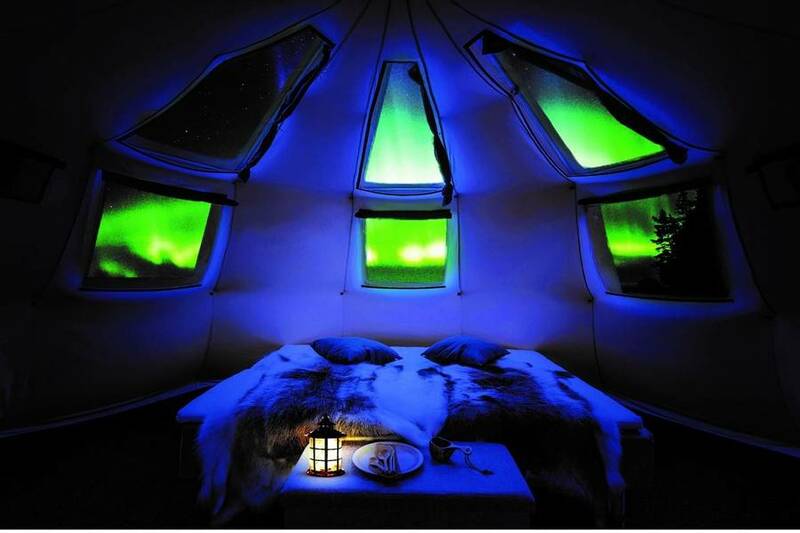 Tromsø is a well-known base for Northern Lights hunting and during this 5-night stay, you’ll search for the display by minibus, during Aurora glamping and at two guided Aurora camps. 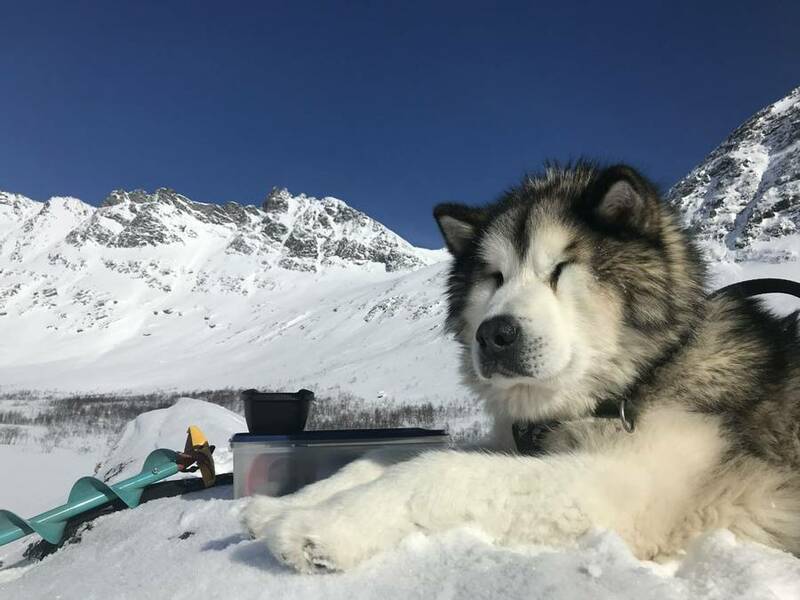 During the day, you’ll enjoy a whale or fjord wildlife safari, meet a traditional reindeer herder and experience dog sledding. 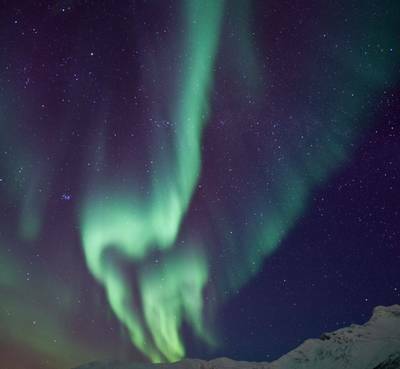 To maximise your Northern Lights viewing potential, we have included three guided Aurora activities in this five-night break. 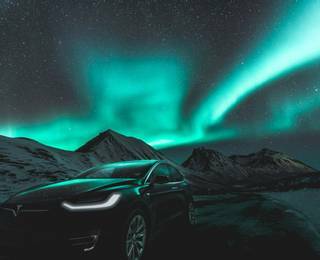 You split your time between the city, an amazing Aurora Camp and the stunning island of Sommarøy and each offers its own Northern Lights appeal. 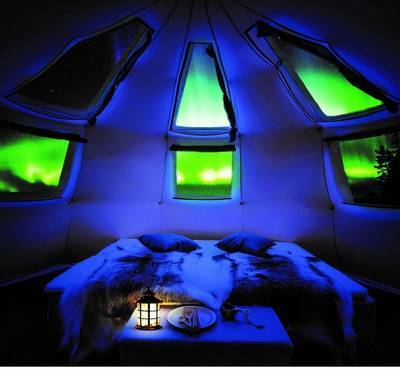 You will then spend two nights at a dedicated Aurora Camp on the stunning island of Sommarøy which has very little light pollution. 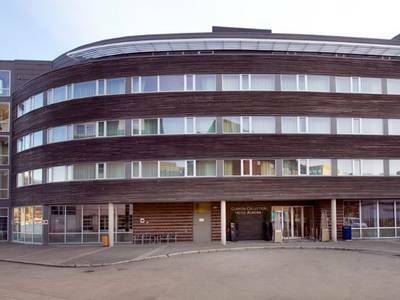 Following your arrival at Tromsø Airport, you will be transferred to your hotel in the city. We would recommend getting an early flight if possible as the ‘Capital of the Arctic’ is a vibrant place and there is much to explore. 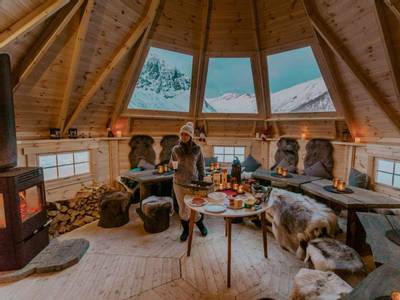 The culinary scene here is great and although a light evening buffet is included, we would certainly recommend visiting a local restaurant and sampling some of the Arctic delicacies. 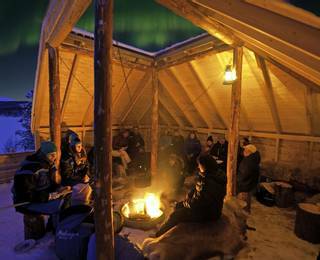 If you cannot wait to begin your search for the Northern Lights, a reindeer-pulled Aurora sleigh ride is perhaps the perfect introduction to this part of the world. Please see the ‘Personalise’ section of the holiday page for further details. Today you will take to the water for an unforgettable boat safari. 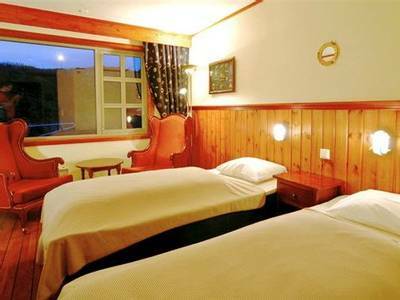 Depending on your departure date, this will either focus on the fjords and local wildlife or whale watching. For our departures between December and the 25th January, there should be the chance for you to witness orcas and humpback whales in the region, although their travel plans can never be guaranteed. This trip can last between three and six hours, depending on where the expert guides feel whale sightings will be most likely. For those travelling after the 25th January then the cruise will focus more on the stunning fjord landscape and marine wildlife such as seals and seabirds. This safari is typically around three hours in duration. Your evening buffet will be available once again, and after which, you will enjoy your first Northern Lights hunt via minibus. The mobility provided by the vehicle allows you to cover greater distances and hopefully escape any localised cloud cover. Your knowledgeable guide will determine where the best possible viewpoint might be, based on the weather and solar activity forecasts. Throughout, you should keep your eyes towards the northern skies for any flickers of colour as the Aurora can potentially appear at any moment. 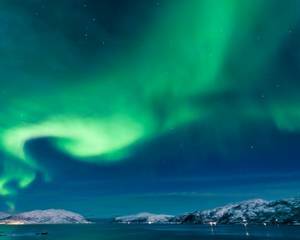 If you would like to try Aurora hunting by boat, then it is possible for you to upgrade your minibus hunt for a Northern Lights dinner cruise (supplement applies). Please ask one of our Travel Experts for more information. 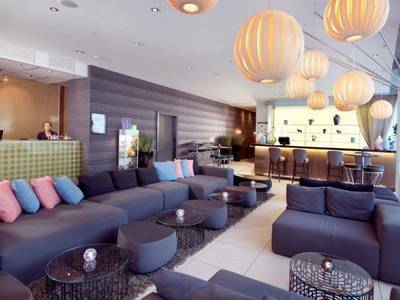 This morning you can enjoy breakfast at the hotel before checking out and securely storing your luggage, as tonight you’ll be Aurora glamping! From the modern city, you will take a short transfer to the island of Kvaløya for a chance to engage in something more traditional. 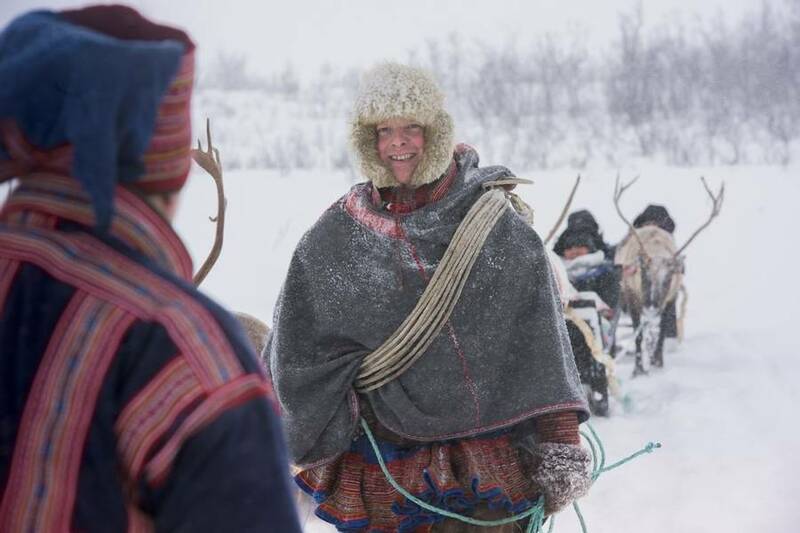 Reindeer herding remains an integral part of Sámi culture, and today you will meet with a local herder at their camp. You will learn a great deal about the lives of the herders and their animals and there will also be the chance for you to feed the reindeer. Lunch will be served in a lavvu (traditional tent) and tales will be told around a campfire. You will be out for around three to four hours in total. 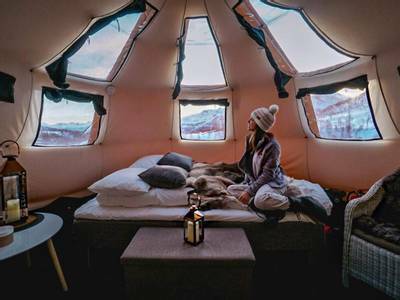 Following on from your time with the herder, you will have some free time in Tromsø before being transferred to the remote wilderness camp for your Aurora glamping experience. 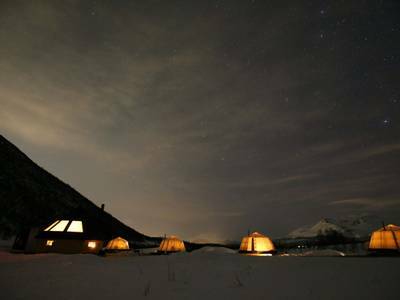 The camp is approximately 40 minutes from Tromsø and is located in stunning natural surroundings on the island of Kvaløya, away from the lights of the city. 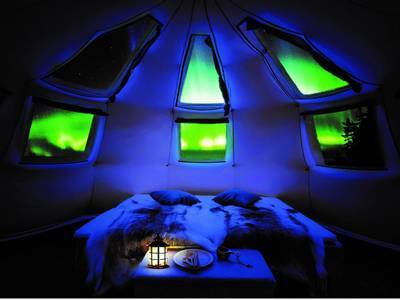 It is ideal Aurora viewing territory and spending the night in such surroundings really is a privilege. 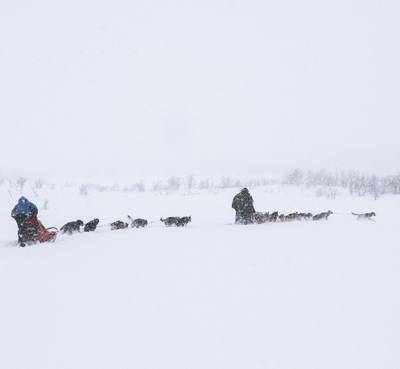 The adventures are not over for today, however, as you will explore the winter landscape during a 5km dogsled safari. Huskies are synonymous with this part of the world and meeting the dogs is always a holiday highlight. Following on from a full safety briefing, your expert guide will lead the way on the trail, which will take you through the forest and towards the stunning coastline where you can enjoy views of the fjords. 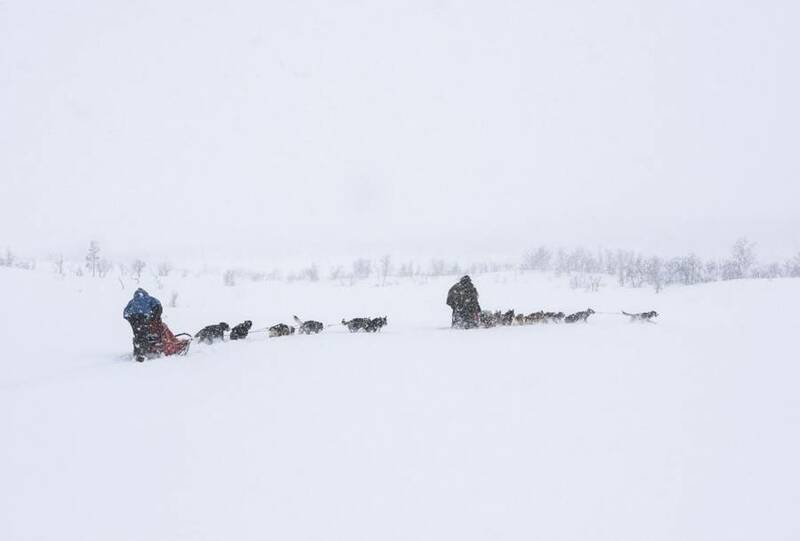 Your guide will control the dogs and you will travel two people per sled as passengers. You will be out for approximately 40 minutes. During the evening you will enjoy a delicious dinner in the camp’s central cabin. Your hosts use local, seasonal ingredients in their food, so be prepared for some very tasty local treats. The warming fire creates a cosy atmosphere, but you should try and draw yourself away in order to keep a lookout for the Northern Lights, either outside or from your cosy tent. 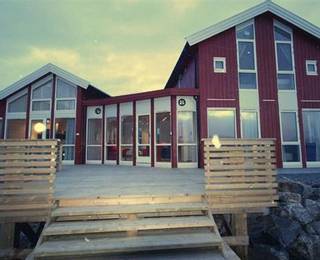 Following breakfast at the camp, you will depart on a guided scenic drive to the island of Sommarøy. Northern Norway is known for its stunning fjord landscapes which are simply jaw-dropping. Today you will follow the coastline, which is flanked by mountains, as your local guide imparts some of their local knowledge and you enjoy the views. The drive is approximately one hour in duration and you will have the opportunity to stop and take photographs. After arriving on the island, there will be some free time for you to settle into your accommodation at the Arctic Hotel and explore the village. 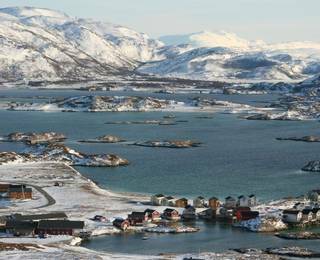 Sommarøy remains a strong fishing community and the thriving harbour is always a hive of activity and a fascinating place to visit. Lunch will be enjoyed at the hotel. If you would like to relax before your Aurora activity, then the hotel does have an outdoor hot tub with stunning views which you can add to your holiday. Please see the ‘Personalise’ section of the holiday page for full details. During the evening you will enjoy dinner in the restaurant before a visit to a nearby Aurora Camp with a local expert guide. Sommarøy has very limited light pollution, so should the conditions be favourable, you won’t have to venture very far to see a potential display. Your guide will use their local knowledge and experience to entertain you during the evening, and hopefully, your efforts will be rewarded. The duration of the activity is approximately three hours. 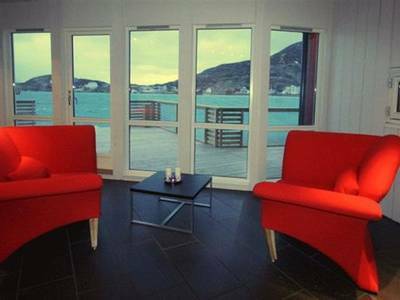 Enjoy a leisurely breakfast, before having the day free to explore the island of Sommarøy. Sommarøy has some beautiful beaches and these are particularly picturesque in winter when the sand can be covered in snow. There is a strong sense of community here and people are typically very happy to share information about life on the island with visitors. If you want to learn to more about the local community you can add an additional guided walk of Sommarøy to your holiday or a wonderful wildlife tour. The details of all the activities available can be found in the ‘Personalise’ section of the holiday page. 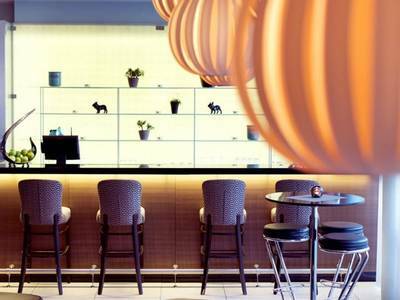 During the evening, you will enjoy another meal in the hotel restaurant prior to your second, and final, Aurora Camp. Once again you will be accompanied by an expert guide who will lead you to an ideal Aurora viewing spot on the small island of Sommarøy. 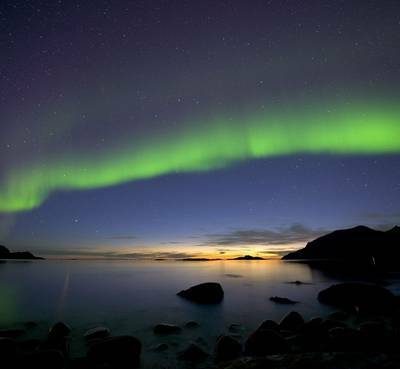 With a little luck, the conditions will be favourable and the Northern Lights will dance and bid you farewell. The duration of the activity is approximately three hours. Following breakfast, you will be transferred* back to the airport in time for your flights home. 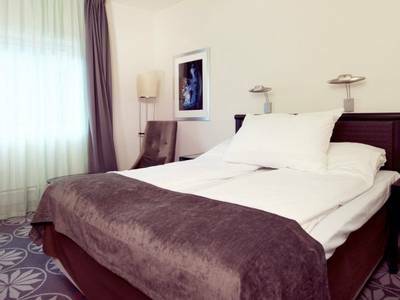 If you would like to extend your stay then we can arrange this for you. Please contact one of our Travel Experts for further information. *Please Note: your return transfer is scheduled to leave Sommarøy at 9:00 am. If you require an earlier or later transfer, supplements will apply. Please contact one of our Travel Experts for more information. Departing from the harbour in Tromsø, you will set out across the water on a catamaran in search of the Northern Lights. The boat is comfortable with a viewing deck and a heated lounge for you to enjoy as you set off slowly across the water. 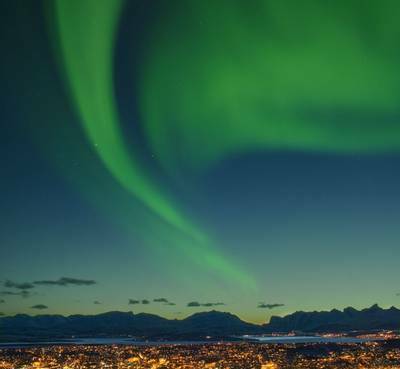 There is no artificial light pollution out at sea so the skies are dark for Aurora viewing, but you are still able to enjoy Tromsø from a wonderful new perspective as you look back at the illuminated city. Dinner is a traditional Norwegian supper (usually fish based), served in the boat's indoor lounge, whilst you wait for the Northern Lights to hopefully appear in the dark skies above you. 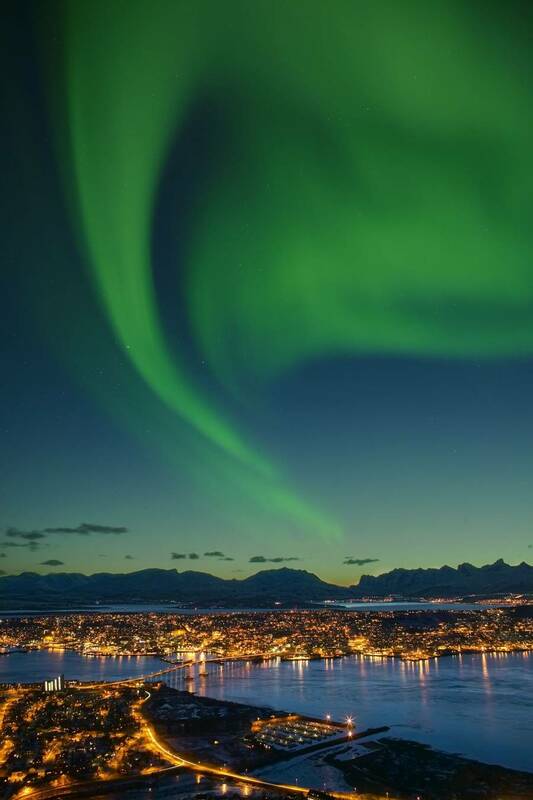 The onboard guide’s knowledge about the city and its surroundings, as well as their many years of experience of the Northern Lights, will make for a very memorable experience. Cold weather clothing is provided. 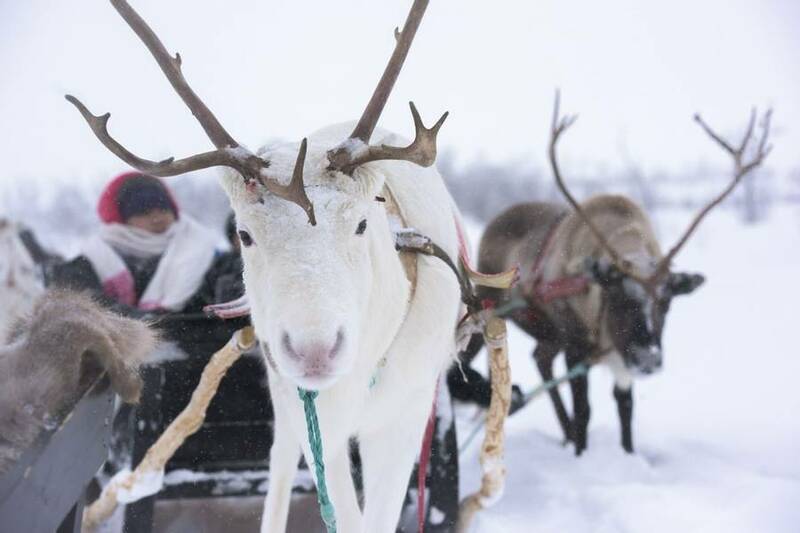 Reindeer are synonymous with the Arctic Circle and reindeer-pulled sleighs were historically used by the Sámi people to travel between villages. 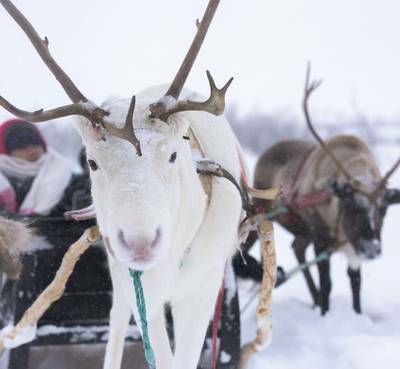 This is a wonderful experience for those who want to experience some of the traditions of Sámi culture and encounter reindeer up close. 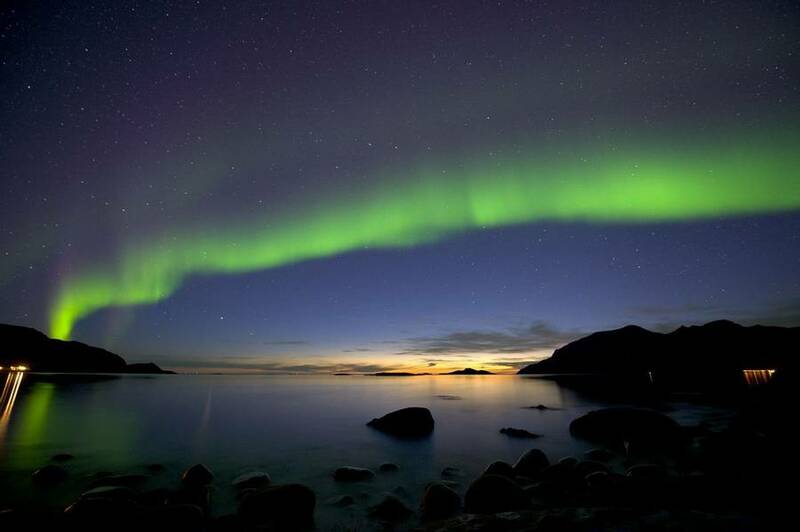 It is also an opportunity to escape the lights of Tromsø and perhaps witness a Northern Lights display. 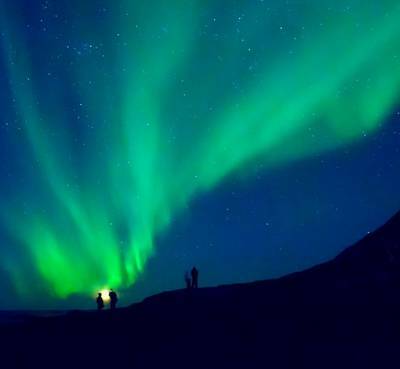 You will travel to a remote camp, deep in the wilderness and in an ideal location from which to watch the Aurora should conditions be favourable. 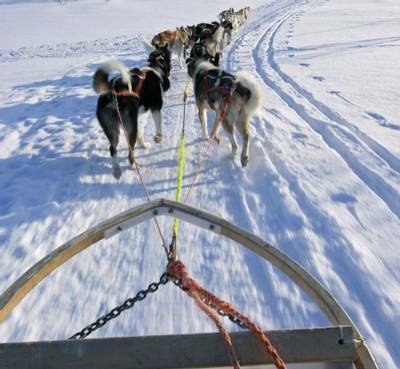 Travelling two people per sled you will then enjoy a safari by reindeer-pulled sleigh, keeping watch on the skies above and enjoying the magic of the experience. A hearty meal (typically a reindeer stew – vegetarian option available) will be served after the sleigh ride and will be followed by traditional Sámi tales and a joik performance (traditional singing). 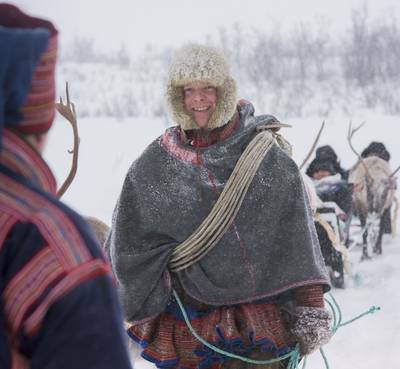 The activity will take place just outside the city of Tromsø at the same destination as your reindeer feeding and Sámi culture activity, which is part of the agenda. Press delete to remove this chip. 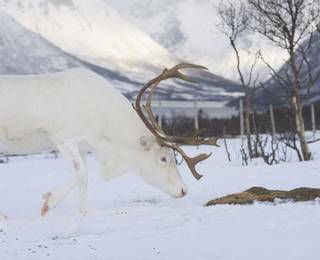 Northern Norway has a diverse selection of wildlife and many animals can be spotted during the winter months. During the wildlife safari, you will join a local guide and explore the area surrounding the island of Sommarøy in a heated minibus. If you are lucky, you may spot moose, white-tailed eagles, reindeer and otters. 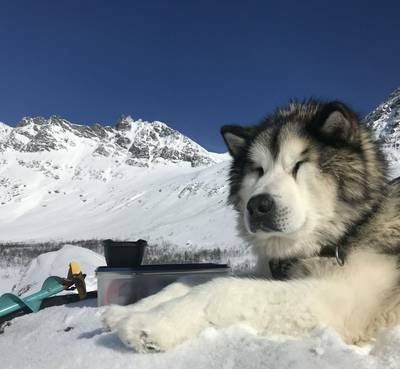 Your safari will include lunch by an open fire and your guide may even bring along his two Alaskan huskies for part of the journey. A guided walking tour of Sommarøy will introduce you to the local community and the age-old fishing traditions which still exist to this day. You will walk down to the quayside and experience the hustle and bustle of the harbour before making your way to the centre of the village and stopping at the museum and handicraft centre. The tour will also include a visit to the Kaillkråa which is a traditional coffee shop where some of the locals have a personal hook where they hang up their coffee cups when they leave. There are few better feelings than stepping into bubbling hot water, particularly when you are high above the Arctic Circle during the winter time. 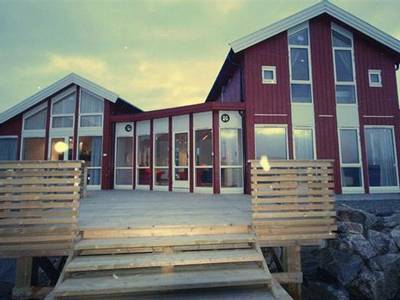 The Sommarøy Arctic Hotel has an outdoor hot tub which overlooks the ocean and the beautiful winter landscape. You can book this to enjoy during the day, or if you prefer, you can even book this on an evening and sit under the dark northern skies. 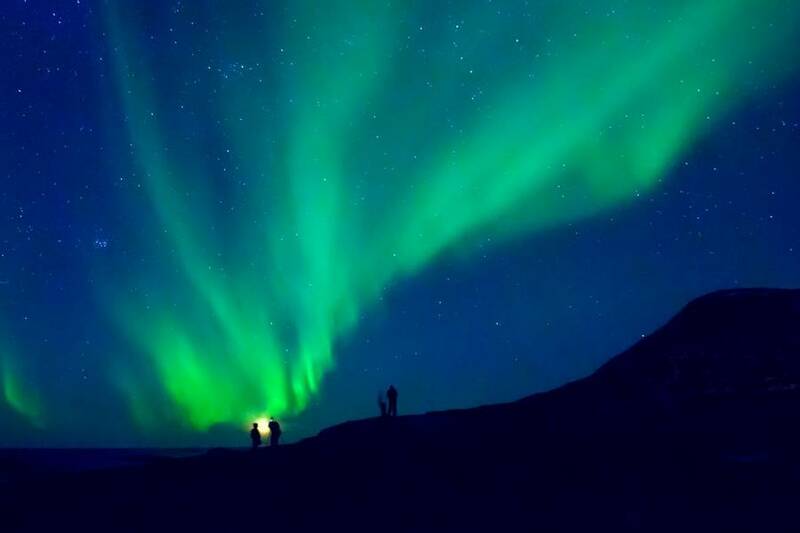 If you are lucky, you may find yourself sitting below the dancing Northern lights. We had a fantastic trip. Adventure. Experience. It was just amazing; your organisation was superb and your agents in Tromso were just great. All the trips were super and we saw the Northern Lights on two nights on the island stay.Cannot praise you enough. 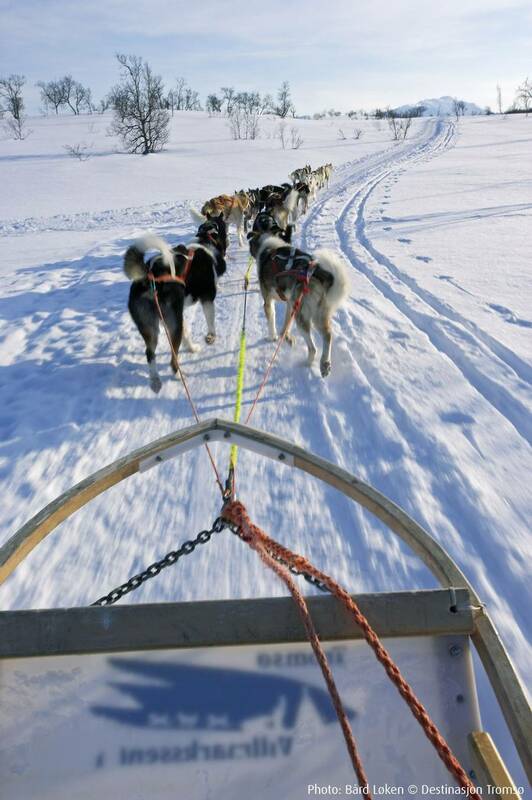 We have just returned from a trip / adventure / experience in Tromso. Your organisation was superb and everything worked really well. Trips and hotels were excellent and we managed to see the Northern Lights on the last 2 nights in Sommeroy. Thank you again.